Ever want to take a stroll around the world? The Stoli Around the World is the next best thing. 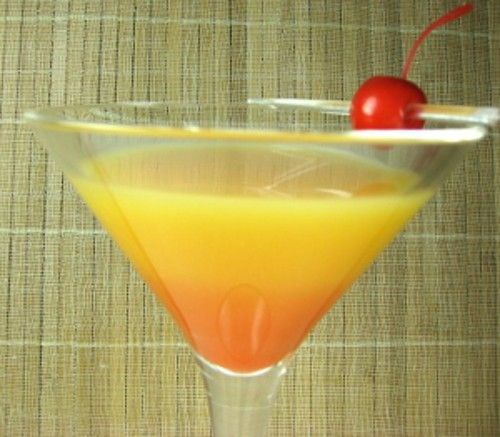 It mixes four flavored Stoli vodkas with cranberry and pineapple juice, and just a touch of grenadine. This is a really fun, refreshing cocktail you can sip along on for a while. It’s even a nice choice as a breakfast or brunch drink. Build (that is, pour each ingredient, in the order listed) in a pint glass. When you get to the cranberry and pineapple juices, you’re filling the glass the rest of the way with both together. Cover with a mixing glass and shake. Garnish with a cherry.